In the recently held IPL auctions, most teams if not all relied heavily on data to pick their teams. What are your thoughts on this? Previously players were picked out of gut feel, hearsay, referral, sometimes emotional purchases and did not involve much preparation. Now teams are starting to prepare well in advance, there is a lot more emphasis on data, people are deploying specific teams to come up with models which can help them take right decisions during auctions. This has been a very big shift and with more tools coming up, enormous data can be captured and better results will arrive. Star India has recently announced that they would be live streaming IPL games on VR. How do you think it will pan out? Hotstar perspective it will be fantastic. Nowadays, whatever they produce for television it gets distributed over the internet too. I feel that the internet/mobile phone is not as immersive as a television. With AR/VR it can be made immersive. That’s the next big step from a digital perspective and how it can change fan experience. It will be a great experience when you sit in the dugout or be standing in the 2nd slip. Those kind of experiences can be given today. What are your thoughts on the sports technology structure in the country? India is far ahead in certain areas, but there is work to do and lots can be done. With the kind of capabilities we have, India can be a trendsetter in this space. India is going to be a global runner in sports analytics. Every Indian has got an inherent strength in data warehousing and data mining and that is an edge that we have. In the business analytics space Indians are making a “BUZZ”, so why not in sports. What are the new ideas that can be adopted or changed? The overall process can be fine-tuned. The amount of data that we have in the domestic game is huge. In terms of talent identification, particularly the domestic talent, we should have something like a cloud based solution which can give franchises and teams all information regarding the domestic players. I think it will be a better way to market the player and help franchises and teams make an informed decision. The key is also to optimise efficiency and the process. Which areas can be earmarked as the future of sports data and technology? With new methodologies like AR and VR, there is tremendous scope in coaching. In terms of analytics how AI can help in dissecting the players and how it can accelerate skill acquisition should be seen. Digital is coming up and the possibilities are immense with the kind of technology which is coming in and the kind of experience it can create. India has to or rather will take up the responsibility of hosting the Olympics somewhere in 2028, 2032 and if Olympics has to happen then the infrastructure has to improve. Thus I see a huge boom in infrastructure sector and thereby the technology infrastructure also will pick up. We will have smarter stadiums. With the advent of the digital age, fan engagement has become a key aspect for the sports industry. Your thoughts? In today’s world, fan consumption has changed and everybody wants snack able content, the first 5 seconds need to be eye catching. Everyone is talking about fan experience nowadays and it is about the experience we create in the stadiums which drives people to the ground. This is the biggest challenge to most sports – how do I get people to the venue? IPL has showed that the only way is to make it more entertaining. It has become sportetainment. IPL and other leagues have become big businesses and it’s all about the fans ultimately. So it is about how I can manage the fans better, understand them better that’s where the fan analytics comes into play. How do I take him through the journey and what experience do I provide to him at what price through the right channel? Some people might be consuming content through twitter, some through Facebook. It’s important to collect the data over fans, to study him and provide better packages. What are the biggest challenges that you have faced since the inception of the company? 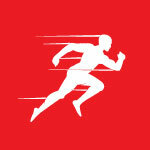 We have evolved from being a performance analytics company to a sports data analytics company. We are surprising ourselves in every step of the journey. We were born in an era where we did not have television, today’s kids are born with a smart phone. Initially it was tough to find people as it was an alternative career and not a traditional one, there are more innovative careers that have come in. One of your biggest challenges initially was attracting people to come into this line of work. Do you see this changing now? There is a huge surge in youngsters wanting to have a career in sports. People are willing to take risks, and pay cuts from established companies which was quite surprising to me. They want to chase their passion, and that’s the biggest shift which wasn’t the case before. Today the sports economy is beginning to look up in India and I think there will be plenty of opportunities. It’s a great area to be in, there’s a huge amount of opportunity. But people need to have clarity on what they want to do. A post which is unheard of like a fan sentiment officer, there’s an opportunity to take up something like this. Today the sports economy is beginning to look up in India and I think there will be plenty of opportunities. We are in the so called digital era. Do you think sports bodies in India are making the best use of this space? 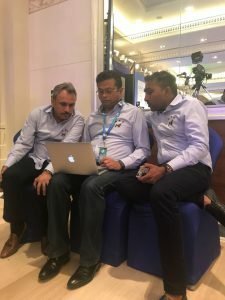 When BCCI (Board of Control for Cricket In India) invested in digital, nobody thought it would be big but it was a wakeup call. People have still not realized the full potential of digital. But it’s opening up, people are slowly realizing it. The OTT, the second screen experience, is something which everyone is after. Today’s fans are multitasking, they are watching the game and posting, blogging and tweeting at the same time. Fantasy games are going to go up. That’s a huge area which is untapped. To market a game better, fantasy games have to be popularized first. It’s a great marketing tool. From experience, do you find there is more acceptance of performance analysis nowadays from players and teams or is there skepticism? There’s not much of awareness in market as such about what an analyst can actually do or should do. It’s all about the acceptance, the buy in of the players and coach. Technology and data are only supplements at the end of the day. The athlete is the centre of the ecosystem. There is a randomness to performance, can’t decode everything. What are the key areas that need to be addressed to be a good performance analyst? I think it’s about the person at the front end, his ability to get the buy in of the players, of the coach most importantly. The players will get a buy in only after a period of time when they start becoming comfortable and start opening up. One who is very good in man management will be successful. He should be equipped with multiple skill sets. Analytics is pretty much at the back end, at the front end it’s all about how you translate data into easily consumable reports by the players. A high performer is the one with a blank mind. A player always backs his gut feeling and instinct. We should never interfere with that. One must balance it out. When you are winning, the dressing room is always different but when you are losing, it becomes dicey. These are the testing times on how you conduct yourself. Sometimes it becomes difficult to find positives when you lose badly but you have to. Players look at the scoreboard, interpret the situation and play accordingly. Whereas the new way that we are talking about is the dugout will interpret the situation and inform the players of what they have to execute. The players might or might not interpret the situation from the team’s perspective. Will that make a player become more mechanical? No, we are making him more creative I would say because he has to be more creative about the execution. Only 25 percent goes into research and analytics, 25 percent goes into how well you embed the plans into the subconscious mind of the player. Even in critical scenarios he should not forget the plans of the team and 50 percent goes into execution. So how well you execute depends on the first two blocks. We are coming up with a quantitative approach for performance. Though performance is random, we are trying the player to see from a team’s perspective than a player’s perspective. That’s where his efficiency and impact is more important than his personal score. Well i agree with most of your answers but not the first one. Though analysts are using data, I think Auctions were still qualitative, Hype based and had recency factor. Except SRH which hand picked players well before auction (Brathwaite, Pathan, KW, Jordan,Stanlake,Sakib), rest of the teams struggled in auctions to balance team or made some good choices on the spot. I think data is going to play huge role in field positions, timing of bowler variations and ofcourse commercials rather than squad/playing11 selections. As you rightly pointed out there is huge opportunity and challenges in fans engagement with the game.When teams like Rajastan and Punjab did not worry about spending money there is clear indication of profits each franchise is going to make and also with huge Broadcasting rights and title sponsors money it is win-win situation for all IPL stakeholders. So i will not be surprised if young people start having carriers in this field and may be bunch of startups working with teams if they are not working already.